When it comes to digital transformation across Asia Pacific, channel partners lag behind customers in maturity. 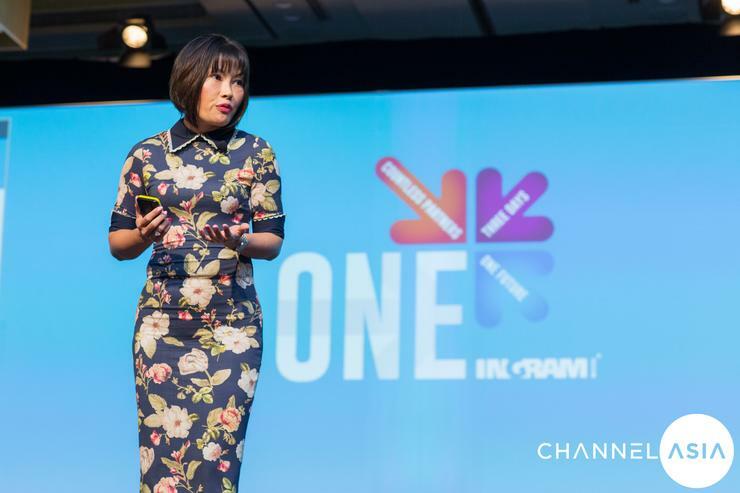 That was the headline takeaway of Sandra Ng, group vice president of Asia Pacific at IDC, during the opening keynote of Ingram Micro One in Singapore. Research cited by Ng classified organisations as either “digitally distraught” or “digitally determined,” with 60 per cent of businesses labelled as the former. The digitally distraught organisation knows they need a plan to adopt cloud and software-as-a-service (SaaS) and change work practices, but they struggle to do so, while the remaining 40 per cent (digital determined) have well-governed teams dedicated to transformation. "Understanding customers in the thousands and tens of thousands collectively is becoming increasingly critical; doing so can give partners a competitive advantage,” said Ng. “Buyers and key stakeholders are changing at a quickening pace. “Every time you get into a customer organisation you will find that there are new buyers and stakeholders that you have to influence as part of the selling process." Citing an IDC Asia Pacific poll, Ng disclosed the top challenges partners are facing on their road to digital transformation success, which the “digitally distraught will need to reconcile if they plan on moving towards a “digitally determined” organisation. "Very few partners can see beyond the immediate financial year,” said Ng, citing future-readiness as the top challenge partners face towards successful digital transformation. "When you talk about new digital capabilities and new digital services you have to go beyond the financial year." Marketing, particularly digital marketing, was also found to impede channel success in digital transformation. 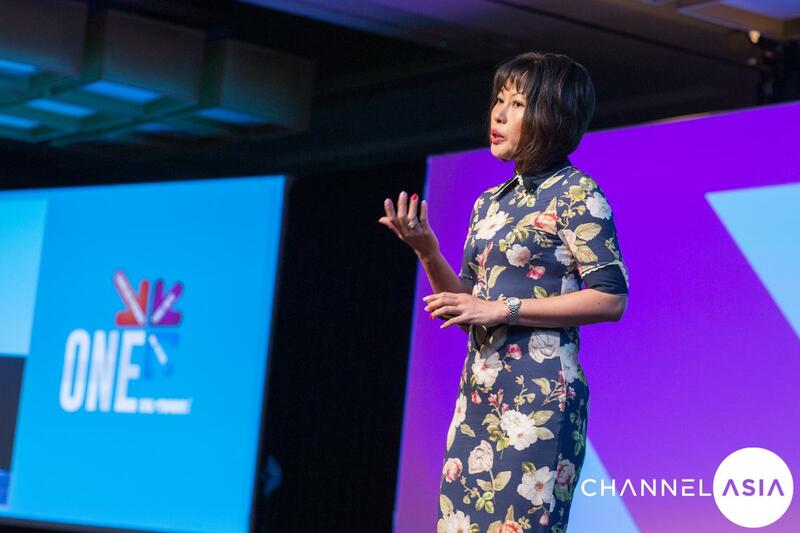 “Few channel partners actually master digital marketing,” said Ng. “Digital marketing is so critical today. "Most customers, especially customers who are not from a technical background, will have done their research and reading on digital transformation; you want to be top of mind when they think digital transformation. "That is where digital marketing comes into play." The next area is “culture;” organisations by their nature do not like to change. “They are not attuned to the new digital transformation reality,” said Ng. This also applies to customers, who cite change management as the biggest obstacle to determining digital transformation success. To succeed in a highly complex digital transformation project collaboration is a must, according to Ng, as well as adopting effective customer relationship management systems to better engage and manage customer relationships. The proper management of resources and prioritisation based on customer ask are also important, as well as pre-sales considerations, in addition to sales, and technical, in addition to compensation concerns around large one-off deals. “Partners need to think about how they would change in terms of seller compensation structure,” said Ng. “The ability to articulate digital transformation value to a line of business needs to improve too." How can partners amplify their chances of succeeding in the the digital transformation economy? For a start, Ng advises focussing on delivering business outcomes, not just technology solutions. The next step to improve digital transformation success is change management. Next in line would be to explore multiple financing models, such as consumption and outcome-based pricing, using an Australian train operator as an example. “It is a very outcome-based pricing and sounds very difficult. It is difficult but increasingly more customers are aiming for such a model." The next recommendation would be to engage with IT and business stakeholders. “IT and business stakeholders are a must do for partners to engage with regularly,” advised Ng. The final recommendation would be co-creation. “There is an expectation that partners bring new ideas to the table and can help customers to co-create some of their new products and services, helping them in their reinvention journey,” said Ng. Read more Does big data equal big opportunity for the channel? “Closing the skills gap is a major hurdle,” said Ng. However, closing the skills gap is not the only challenge facing customers, according to Ng. “The top two challenges that customers in our region face today in their digital transformation journey is creating digital capabilities/skill sets and integrating digital projects across the enterprise or ecosystem environment,” said Ng. With new technologies coming into the market and digital disruption occurring at a quickening pace, organisations are trying to figure out how they can best reinvent their businesses by looking at implementing and experimenting with new technologies. “There has been a lot of talk about the evolution of the IT industry in recent years,” said Ng. “We call this evolution the third platform. “We are currently in the second chapter of the third platform as far as the IT industry evolution is concerned. What this means is we are currently in a phase of implementation. “It started off with the rise of mobility, social media, cloud, and big data analytics before it moved on to what we call innovation accelerators such as IoT, AI, AR/VR, 3D printing, robotics, cybersecurity, and blockchain technology." The years of investments in research and development are now beginning to bear fruit, according to Ng, with much of that innovation now being implemented at an exponential rate resulting in the rapid rise of innovation accelerators. “A lot of organisations are trying to figure out their own data strategy and whether to use at least analytics to try and reinvent their business and the way they serve their customers,” said Ng. “This new set of digital capabilities are creating new breakthroughs in the way products, services and experiences are being consumed by individual consumers as well as by businesses." What are some of the new digital services and technologies creating new opportunities in the marketplace? “I always tell technology buyers and customers that anyone can go out and buy a cloud solution or an IoT solution,” said Ng. “What is critical is the way that you contextualise these technologies and then turn it into a business benefit. As channel partners, this becomes critical." Ng explained that channel partners need to think about how to translate these technologies into real competitive edge digital capabilities for customers. “The biggest opportunities we see are in IoT, AR/VR technology, and AI,” said Ng. “IoT is actually the largest market of all the innovation accelerators that we track but it is also a highly fragmented segment of the market. "We have begun to see AR/VR being used quite extensively in the B2B space over the past 12 months. We are seeing more AR/VR applications in the industrial world; manufacturing, training, preventative maintenance, for example. According to research by IDC, AI represents one of the biggest investment areas for partners, but it also lags significantly in available talent. The top investment area overall for partners is cyber security protection, followed by cloud and customer experience management systems. Wearable and augmented reality technology is where the biggest gap in expertise exist but is also one of the least invested areas for partners with 30 per cent of partners surveyed declaring they are invested in this technology. “Partner with vendors and form alliances to help you get to market a lot faster,” advised Ng.